Ladies and Gentlemen the next post I make here is going to be #100. So in light of this I want to first and foremost thank everyone that has been reading along for this entire time. I’m still a little dumbfounded by the amount of comments I receive about what is written here. So thanks. Now, for Entry #100 I want to get some input from you the readers. Leave a comment below, e-mail me, Facebook me, or even just tell me in person if we cross paths in the hallway give me some input for what you would like to see discussed or mentioned in the next post. Now with that let’s get right into this. GROUNDHOG DAY! Every time I hear that name I think of “I got you babe” playing on a cheap radio only to be smacked by Bill Murray in his endless loop of reliving this day. Fortunately for us I don’t think any of us need to experience that kind of ordeal. If you don’t get the reference, then I recommend you checking out the movie aptly titled, “Groundhog Day”. So if you have been living under a rock for your life and you have never heard of this incredibly interesting tradition that the western world has developed. Groundhog Day takes place every year on the 2nd of February. 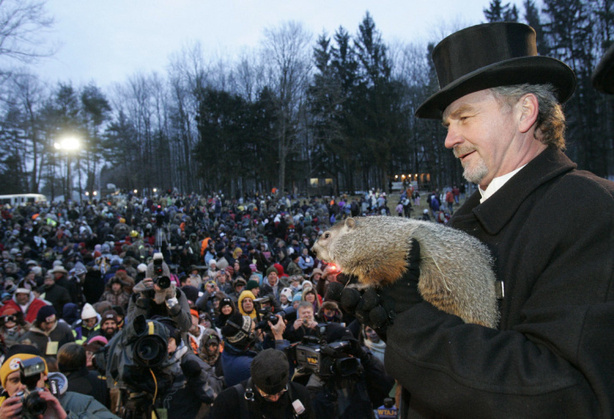 It’s essentially a ceremony were a groundhog is removed from a makeshift groundhog hole. If he sees his shadow he scurries back into his hole because there is going to be 6 more weeks of winter, BUT if he does not then he soaks up the sun because we are going to have an early spring. 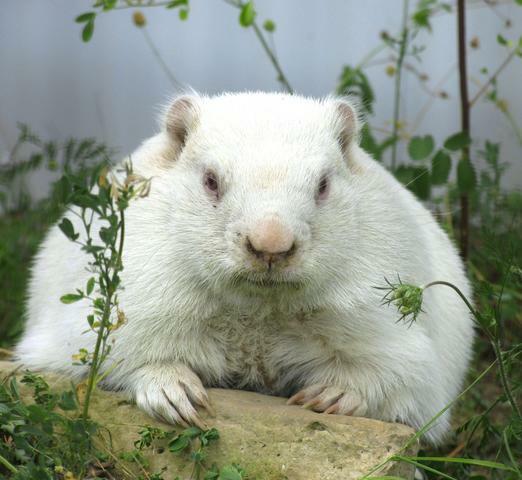 In the United States they have Punxsutawney Phil, in Pennsylvania, and in Canada we have Shubenacadie Sam in Nova Scotia, Balzac Billy in Alberta and Wiarton Willie in Ontario (yes we have three groundhogs.. Not to be outdone by the US.) On the surface looking at this it really is a pretty absurd tradition. I wonder how it all started? Case closed. There isn’t a symbolic meaning behind it, it is just the creation of a newspaper editor and a publisher that really took off and became an international craze… I’m actually a little disappointed I thought for sure it had roots in like paganism or something. Oh well. As I said, It’s Groundhog Day!!!!! Alright so I doubt that you are all overly excited about it, most people don’t even realize it is even Groundhog Day until a few days later when someone mentions whether he saw his shadow or not. It’s still something worth mentioning though, if nothing else for the animal lovers to see the pictures of each of the groundhogs being held by their respective mayors and get all mushy about “how cute” he is. I enjoy the festivities of all of this though. I mean, I am not an expert on any of these communities but I would imagine that there isn’t really a whole lot of activities present in them that is looked at on a national and international level. It brings people and tourist to the town, and all for what could be viewed as our most trivial, ridiculous, yet loved traditions. Groundhog’s Day is definitely an enigma on the annual calendar but I’m sure I speak for most when I say we love it anyway. So what’s the verdict? Are we going to suffer through more winter or is spring on the way? 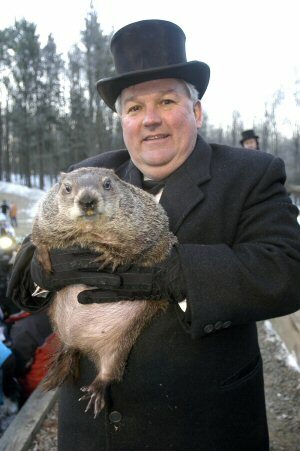 Phil did not see his shadow predicting the end of winter early. Sam is sporting some shades and getting ready to soak up the sun of an early spring since he did not see his shadow. 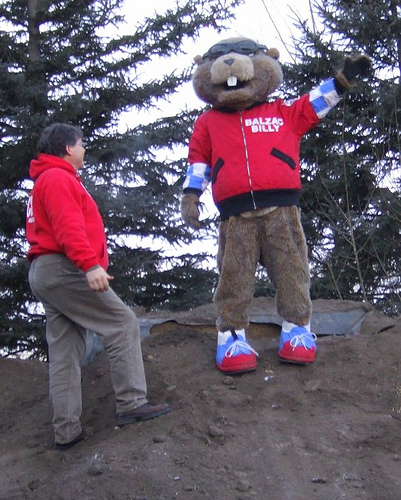 Wiarton Willie and Alberta’s Balzac Billy all agree as well that Spring is coming. Well, here in Newfoundland that is good news because we only got out winter in January, but as it was explained to me yesterday at the local gas station, “We had no snow until January up until a couple of weeks ago and now we’re faced with a few week-long blizzard.” It’s true the weather has been insane this season so I know there’s a lot of my colleagues here hoping that this prediction is accurate. Cheer up guys, we have four groundhog’s on our side. The winter blizzards should be coming to and end soon…… even if we are forecasted to receive one of the worst storms in recent memory. Winter you came too late, and you made way too much noise so we won’t be too upset if you decide to leave early. You came in with all the tenacity of a student late for class that shows up 20 minutes before it’s over and ends up making such a big racket that the 20 minutes is wasted. Sam, I know I for one hope you got it right little guy. There’s still no word from Wiarton but it IS like 7:30am there so I’m not surprised… here’s hoping the tie-breaking goes in favor of spring. Oops, speaking of late for class, I have to wrap this up and get going. Don’t forget to let me know your thoughts for what I can do for my 100th post. Even if you have never seen this site before and this is the first entry you’ve read I still welcome any suggestions for what I can do for my next post. I’m going to leave you all with the tweet on Phil’s official twitter because I think it is just genius.